The statistic displays the number of broadband internet subscriptions in Luxembourg from 2010 to 2017, by type (in thousands). 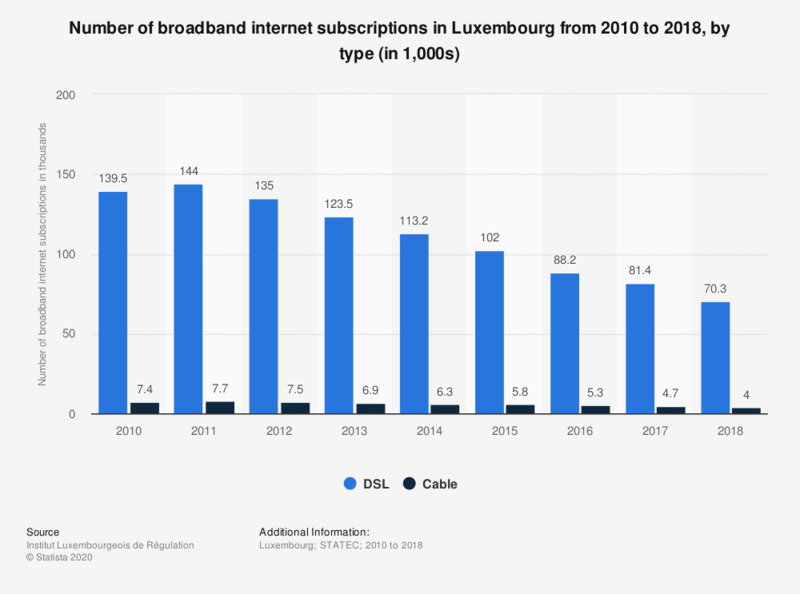 While the number of DSL subscriptions remained consistently higher, the number of both DSL and cable broadband subscriptions in Luxembourg decreased annually from 2011 to 2017. As of 2017, there were just over 70,000 DSL and 4,700 cable broadband subscriptions in Luxembourg.